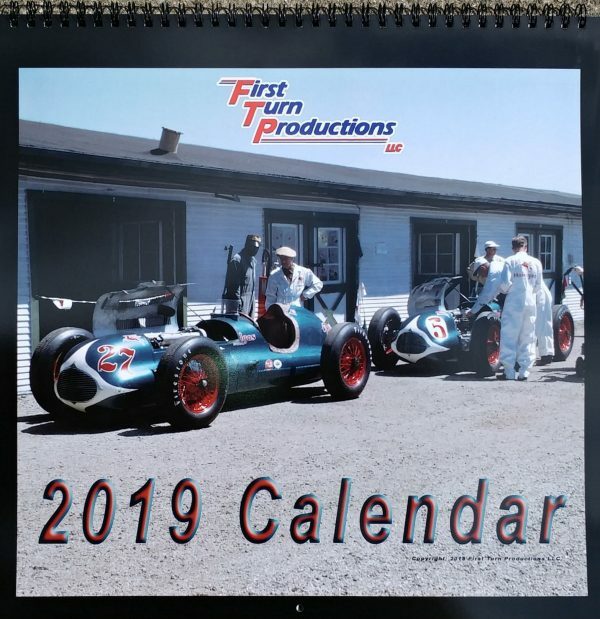 First Turn Productions is proud to offer the 2019 Indianapolis 500 Calendar! 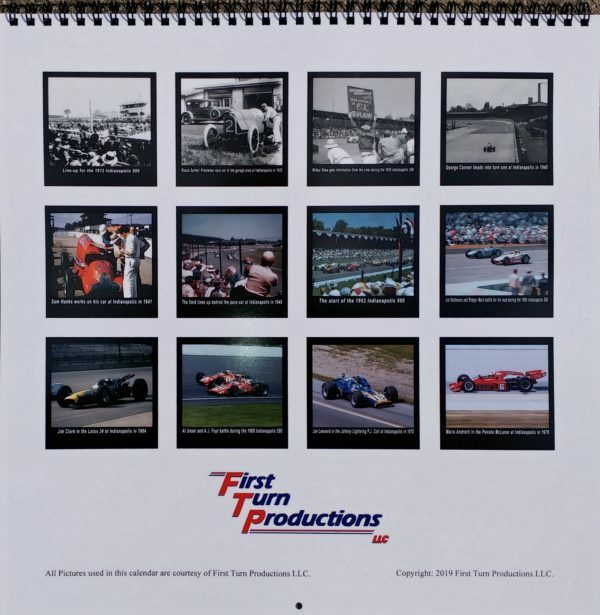 This calendar features B&W and color pictures of vintage Indy cars from the Indianapolis Motor Speedway from 1910’s to the 1970’s! We’ve gone through 40,000+ racing pictures and picked out 12 unique photos we hope you’ll enjoy for each month of 2019. This is a 12 month calendar measuring 12″ x 12″.